I start off every year with a new diary, and can’t wait to start recording everything from January 1st onwards. Sad to say, I’ve never managed a year where every single day of my diary has been filled in. I keep a notebook with me to write down any ideas, but I usually forget to transfer them across to my diary. It’s so dispiriting to miss a day (or two, or more) then come back to find those blank spaces staring up, as full of reproach as they are empty of words. I use an A4 book of squared paper, which is really useful as I can draw sketch plans of my garden, write diary entries and develop tick-box schedules all in one place. That’s much less annoying than having a conventional diary stuffed with odd sheets of graph paper and lists, but it seems a bit of a retrograde step. My OH has spent the last twenty years trying to get me to store everything on my computer, but I’ve never yet managed to create a paperless office. With this new system, it won’t be appearing in 2017, either! I start each month by listing the days on one page, where I include birthdays and appointments. The next page is my task list for the month, then the following pages devote a double-page spread to each week, where I make short notes on what I’ve done on each day. When it comes to actually making entries, the shorter the better. Bullet points are best, and you can develop your own system of symbols to save space. You can always include a link to where you’ve made longer notes. 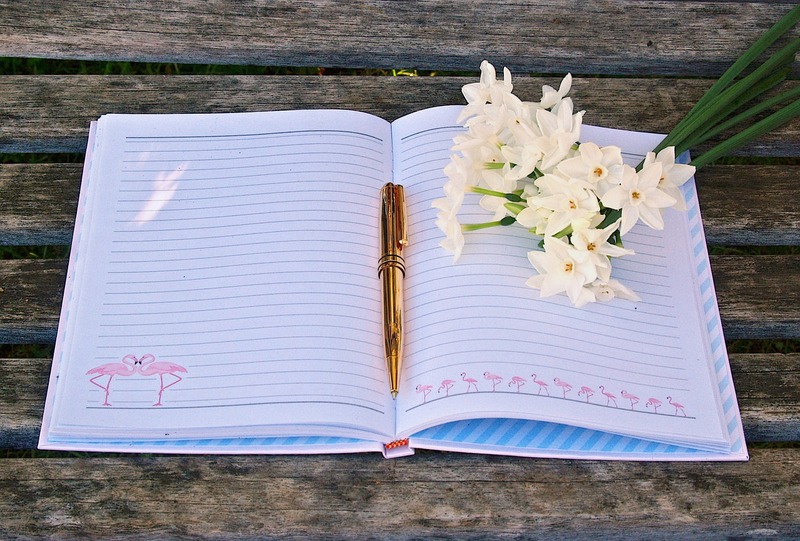 Bullet journaling is wildly popular, and it’s easy to see why. This is diary-keeping for the Crafting generation. You can spend hours developing your own system of note-taking, and then embellishing it. There are so many stickers, stamps and other beautiful things available at places such as Hobbycraft, the idea of making each day quite literally follow your own design and letting your creative hair down is very tempting. Maybe things will improve as I refine my system, but at the moment I find writing out the days of the month several times in different ways a bit repetitive. I enjoy the setting out of pages, decorating them and indexing, but it’s absorbing far more of my time than ordinary diary-writing ever did (when I did it). That’s a warning sign for me. If I didn’t have enough time to write in an old-style diary every day, the chances are I soon won’t be able to find the time to tag, colour and cross-hatch my work either! Do you keep a diary? And is it online, or in a dedicated, real-life book?